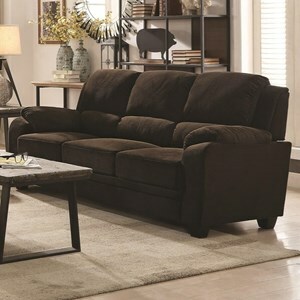 Loose back pillows and additional throw pillows, this sofa doesn't skimp on comfort. 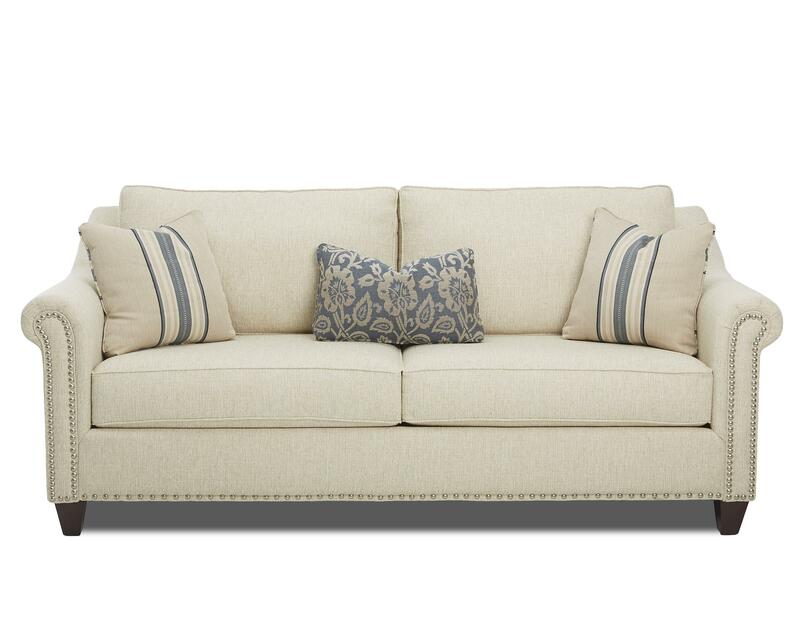 The beautifully designed rolled arms and bottom of the sofa are outlined with nailhead trim. 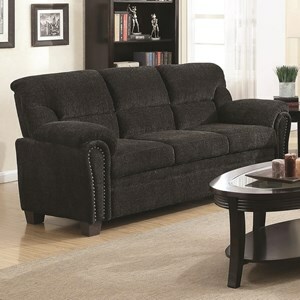 A perfect spot for a conversation, this sofa is a great addition to any living space. 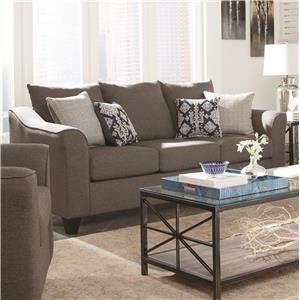 The Langley Sofa with Nailhead Trim and Toss Pillows by Klaussner at Value City Furniture in the New Jersey, NJ, Staten Island, Hoboken area. Product availability may vary. Contact us for the most current availability on this product. Pillow Includes Two 20" x 20" Toss Pillows and One Kidney Pillow. Seat Back Two Loose Back Cushions Decorated with Matching Welt Cord Trim. 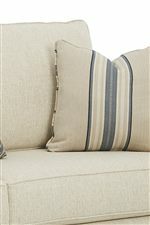 Seat Two Wide Foam Seat Cushions Decorated with Matching Welt Cord Trim. 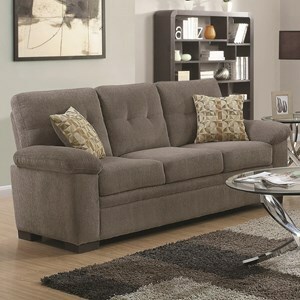 Plush foam cushions and plenty of toss pillows make this collection enticing. 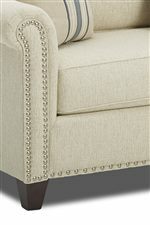 Simple rolled arms are elevated in style with a decorative nailhead trim. 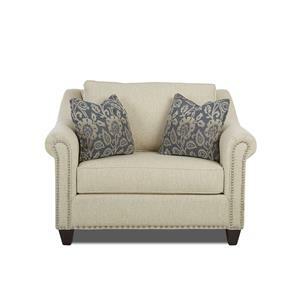 The seat and back cushions are trimmed with matching welt cord which gives a classy touch. 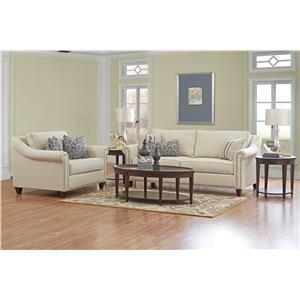 The simple elegance of this collection will make sure to complement any living space. 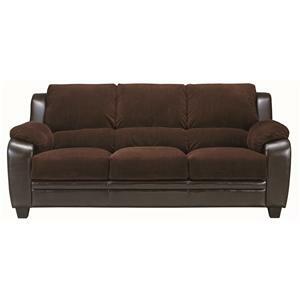 The Langley collection is a great option if you are looking for Casual furniture in the New Jersey, NJ, Staten Island, Hoboken area. 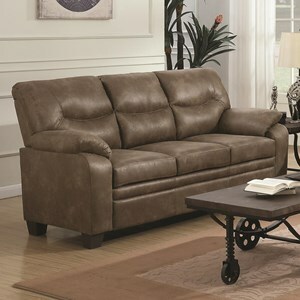 Browse other items in the Langley collection from Value City Furniture in the New Jersey, NJ, Staten Island, Hoboken area.